With COX switching over to an all HD Digital lineup, they decided to completely screw their customers and force them to buy converter boxes – even for televisions that are already capable of receiving a digital signal. So now customers will have to pay a separate monthly fee and add an ugly converter box for every television in their home. If you’re sick of the BS from these greedy cable companies, who want to nickel and dime you with extra charges to receive a signal that just a couple weeks ago was free, then you ought to think about ditching the box and throwing up a digital T.V. Antenna. Believe it or not, there are over 50 FREE television channels right here in Las Vegas. To receive the digital signals you are going to need a digital antenna. While you can find cheap ones at Walmart, they rarely pick up all of the channels, so we recommend something like the ClearStream 2V Indoor/Outdoor HDTV Antenna, it has a 60-mile range and will pick up everything in Las Vegas. I have one on my roof, and there isn’t a local channel that I can’t get. Once you have this antenna mounted, you can run a coax cable right into the cable box outside your home, and you will be able to plug every T.V. in your house directly into the cable outlet and receive the signal. 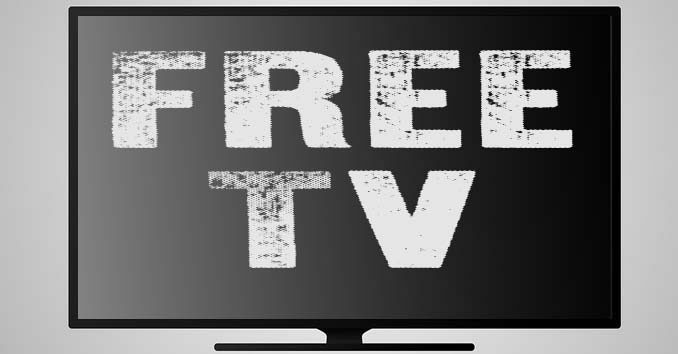 Yes, you can also watch Cable TV Shows for Free!!! I also recommend buying a ROKU; they are under $50, and you can stream news networks from around the world, and pull up hundreds of free channels, movies, and T.V. shows. ROKU and then spring for an Amazon Prime or Netflix membership and watch your favorite shows for about $100 a year. Most people pay more than that a month for their cable! 21.1 Heroes & Icons Westerns, crime dramas, sci-fi, and action-oriented programming geared toward male audiences.